BENN.COM Radio is back with another solid lineup, Penn Nation! We kick things off with the No. 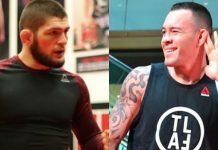 3 ranked welterweight in the UFC and super villain extraordinaire, Colby Covington. 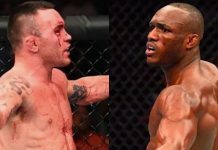 “Chaos” returns to the show to discuss his slated showdown against Rafael dos Anjos for the interim welterweight strap at UFC 224 in Brazil on May 12th. 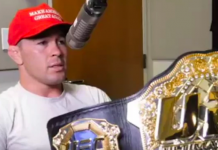 We’ll get his thoughts on the matchup, what needed to fall into place before the fight could be finalized, what he has planned to follow winning UFC gold, and the testicular fortitude required to venture back into Brazil following his verbal onslaught towards the country. As always, Colby brings the heat in another entertaining interview. 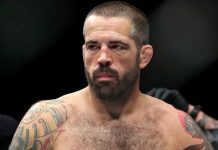 Our second guest is UFC welterweight and all-around badass, Matt Brown. 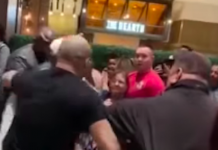 “The Immortal” returns to give us the inside scoop regarding the ACL injury that forced him out of one of the most highly-anticipated bouts of 2018 against Carlos Condit. Regardless of the setback, he’s taking the positives from the situation and has some cool projects in the works for his time off. We’ll also get an update on his career plans going forward and the timetable for his return. As for Snoop Dogg? You’ll hear plenty about that too. Closing out this episode we are joined by UFC strawweight and TUF alum, Amanda Cooper. “ABC” will help us preview her upcoming bout with Mackenzie Dern. Amanda believes this is the perfect fight for her to shine and we’ll get a detailed breakdown of the matchup. We also discuss the marketing of women in the UFC and why Amanda knows she has superstar potential.